Home > Offbeat > Hari Bansha Acharya married second time. 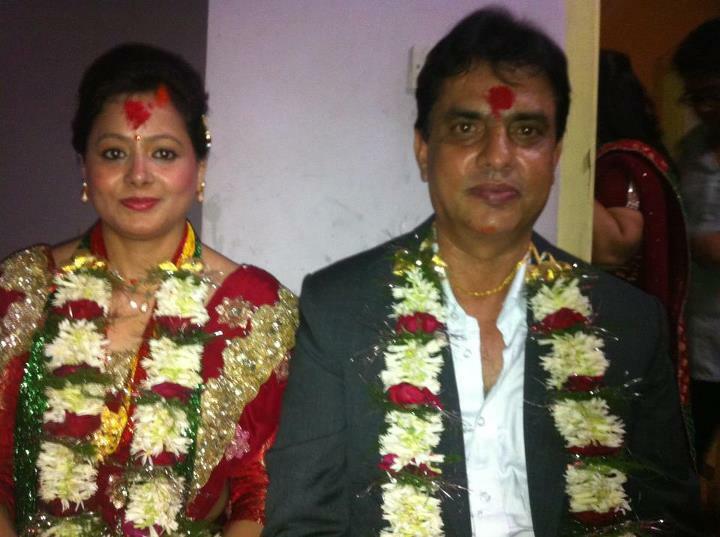 Nepal’s finest Actor Hari Bansa Acharya has got married today for the second time. Upon requests by his sons, relatives and his on screen partner Madan Krishna Shrestha (Ma.Ha Jodi), he has married an widowed woman Ramila Pathak from Butwol. He was in great agony from one and half years after loosing his beloved wife: Mira Acharya – a RJ. With this marriage, he has set an example in giving positive message to the society. Many people see him as a fine actor/comedian, and a true nationalist whereas others even go further to tell him to be a capable person to lead nation, forecasting him to be Nation’s Prime Minister later.